The Duke of Lancaster is or was a railway steamer passenger ship operating in Europe from 1956 to 1979. The wreck is currently beached near Mostyn Docks, on the River Dee, north-east Wales after service. The ship (wiki) was sold to a Liverpool based company and was brought into a permanent dock and renamed “The Fun Ship”. 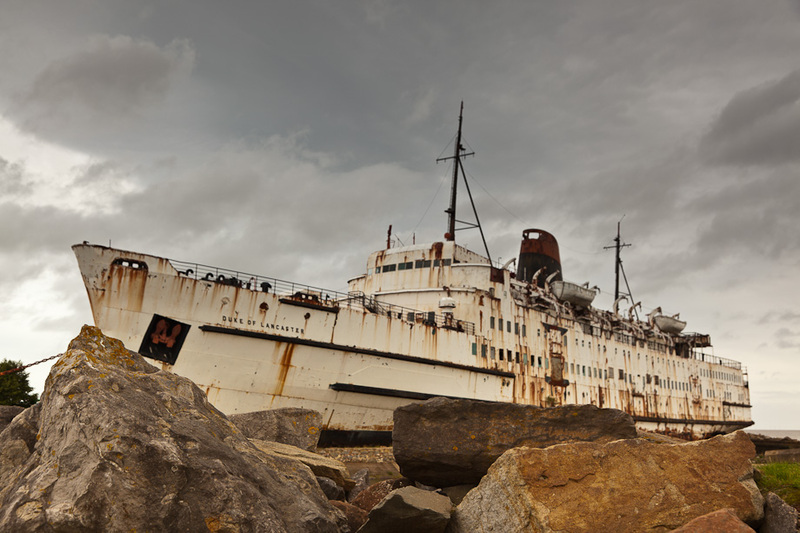 Its use as “The Fun Ship” was relatively short-lived and it was subsequently closed to the public and over time it has become increasingly derelict. The ship was later used as a warehouse today it is abandoned and its future use is uncertain. We came by the ship on our drive down to Cornwall after visiting the Point of Ayr Lighthouse the day before. The photo of the lighthouse was taken with the Canon 5D Mark II and the 24-105mm f/4 Lens. PreviousConservation Area – Keep out!